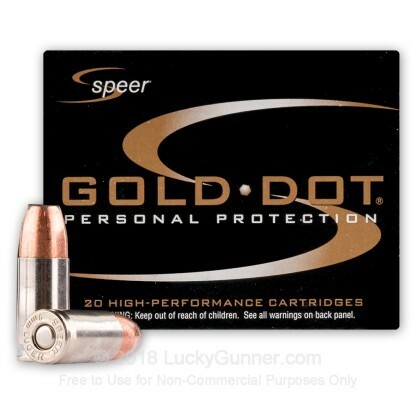 This 9mm Speer Gold Dot JHP ammunition is designed for personal defense to provide the ultimate defense that you can rely on when facing a confrontation. 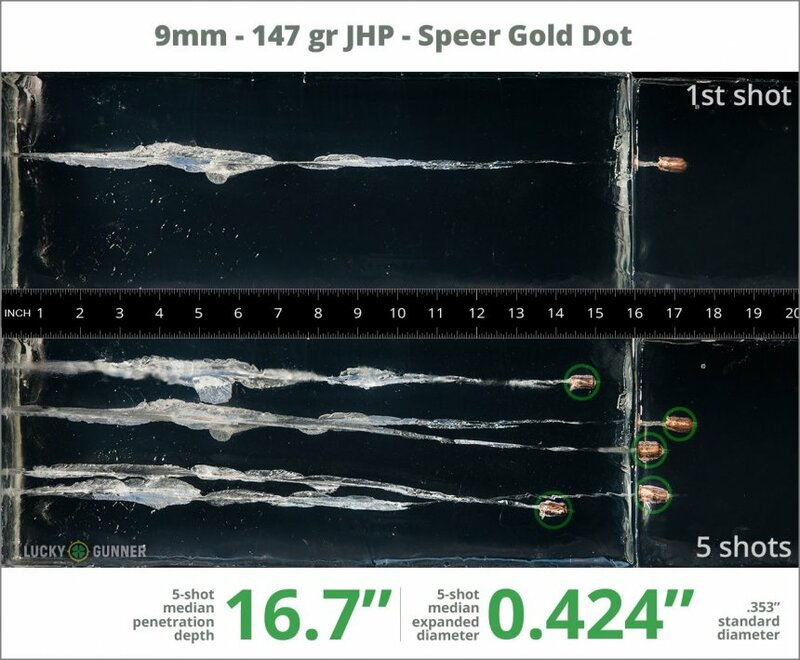 We wanted to know exactly what happens to a self-defense handgun bullet on impact, so following FBI protocols, we fired five rounds of Speer 147 gr Gold Dot from 10 feet, through four layers of cloth (to simulate clothing), into synthetic ballistic gelatin. 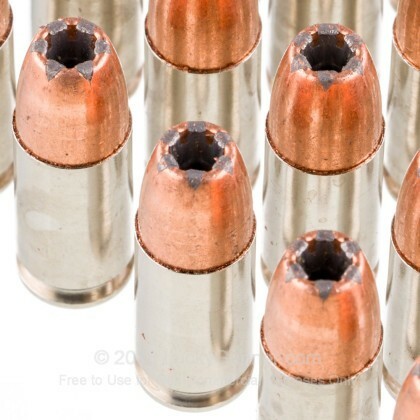 The photos below show the bullets recovered from the gelatin after being fired from a Smith & Wesson M&P9C pistol. There’s also a high speed video that shows the bullet impacting the gelatin block. 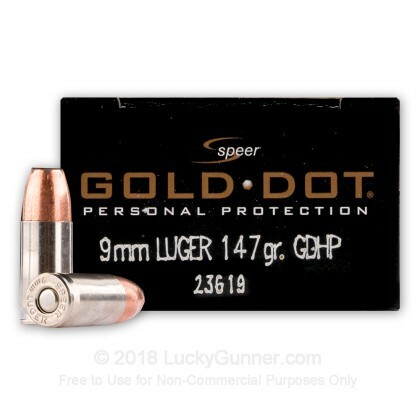 In addition to the 9mm Luger (9x19) Speer 147 gr Gold Dot, we tested over 100 other self-defense loads, so check out Lucky Gunner Labs for the full story. 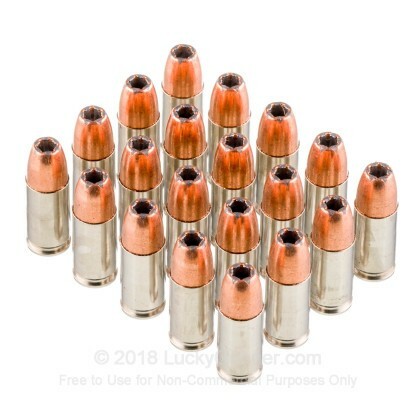 0.90" This ammo: 0.42" Min: 0.32" Median: 0.50" Max: 0.90"
16.7" 0" 5.6" 17.7" 47.5" This ammo: 16.7" Min: 5.6" Median: 17.7" Max: 47.5"
A very reliable self defense round. A very great self defense round. 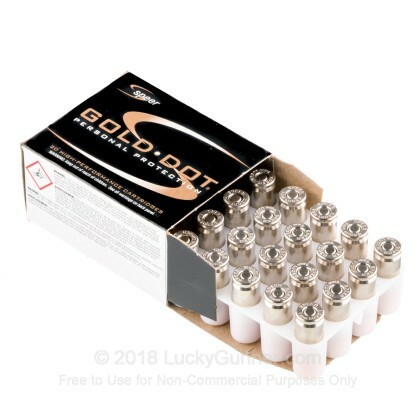 A very high quality ammo especially good for self defense. 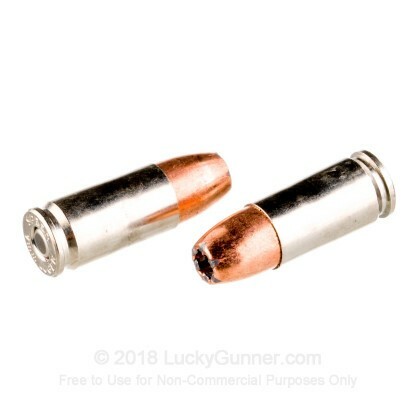 Expensive to use on the range so save it for saving yourself. Q: Good day guys. The average penetration depth is excellent, but according to what I see in this litterature the expansion of the hollow point is not great. Any comments. A: According to our testing with an average muzzle velocity of 955fps this would deliver approximately 298 ft.lbs or force.